← Walking the Airfield, G550 Takeoff! 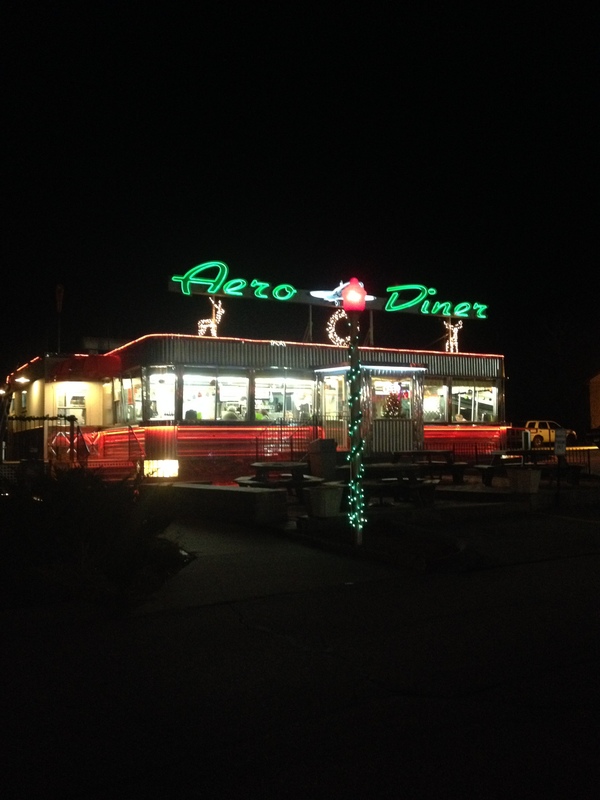 The Aero Diner, a quick walk from the general aviation parking at KIJD! What a quick month November was! Between my travels to visit Audra in Spain and the holiday season starting, I had very little time up to this week/weekend to fly for a good meal. The week of Thanksgiving was not forgiving with its wintery weather, but the last Saturday of the month proved to be one of the best, and a quick dinner flight was in order! Matt looked over the destinations thus far, and Connecticut was one of the states not visited yet (Editor’s Note: Can you believe that? I was shocked…) . I decided on the Aero Diner in Windham, CT as my dinner destination for a quick and delicious bite to eat. 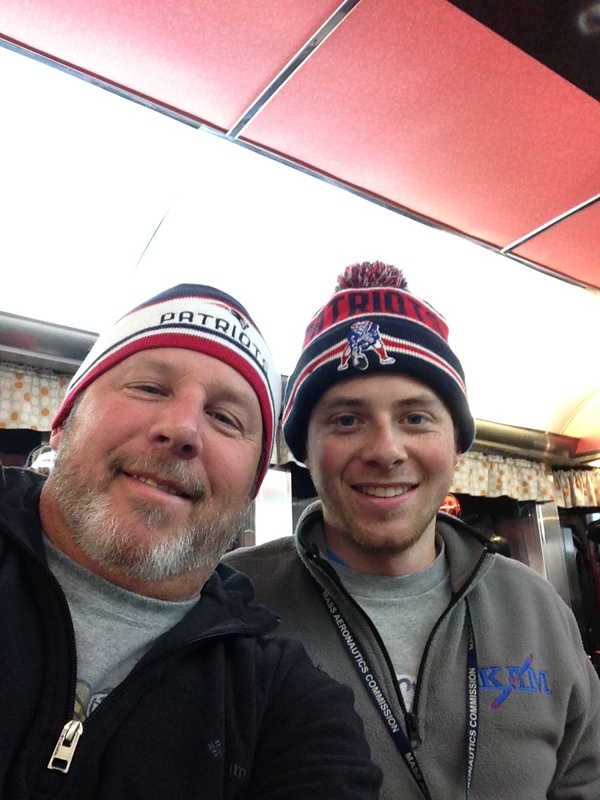 Mitch (left) and his father, Gregg (left) were our expert diners at the Aero Diner! On this flight, I would like to introduce my dad, Gregg. He decided to tag along and enjoy his first night flight with me. He met me at Mansfield (1B9) after I got off of work. I was preflighted in N2138W (C172) and ready to go around 5pm. Weather was in our favor with very light winds and the cloud layer at 9,000 feet. It is winter, so it is cold, but for our flight, frost and ice were not a factor. 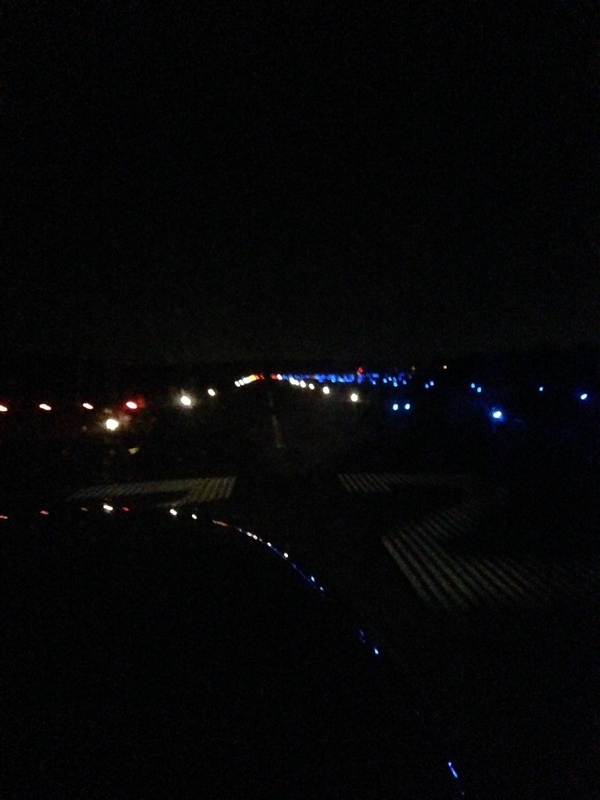 We took off about ten past five on Runway 32 and departed straight out for Windham (IJD). 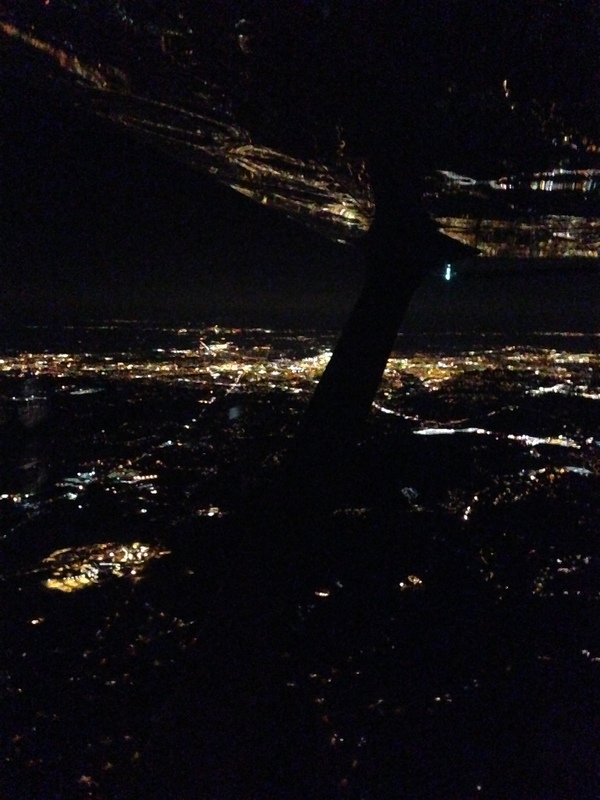 I decided to stay North of Providence, and keep clear of their airspace at 4,500 feet. Half of Mitch’s burger, he got a little anxious and started enjoying the meal before he got a chance to snap a picture of the whole meal! The Aero Diner is a very popular place for pilots all around the New England area. 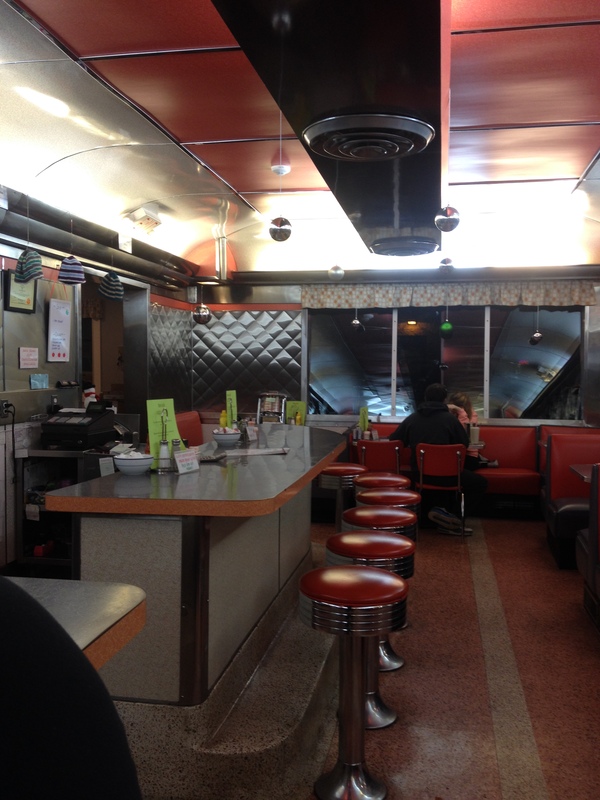 It has the diner feel, and I have never been there when there has not been other folks enjoying the food. At this time of year, the restaurant was decorated for the holidays, which added a nice atmosphere. My dad and I sat at the counter and decided on Cheeseburgers with Fries. The menu is extensive, serving breakfast all day and lunch/dinner from 11am to close. 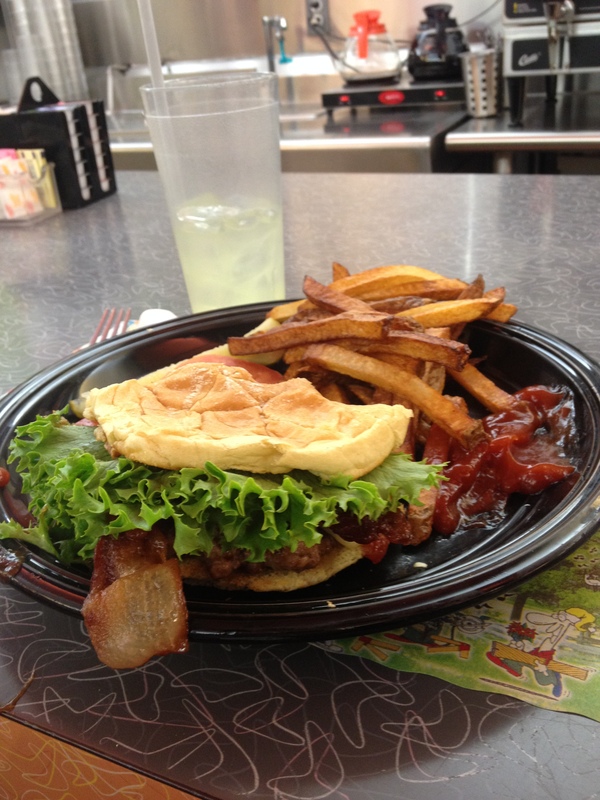 Whether you are in the mood for the grill, sandwiches, an omelet or seafood, the Aero Diner has it all. I was so excited when my meal got to me, that I forgot to take a picture right out of the kitchen, so I took one halfway through. It still does the meal justice! There was one waitress who was very friendly, and we got our meals in great time. I decided on a milkshake after my burger, which was equally delicious and we headed back to the airplane. One small portion of the diner, roughly half the “bar”seating. many more booths/tables available too! Short final, just prior to touchdown on Runway 32 back at 1B9! Overall, the flight between 1B9 and IJD is as easy as it gets and very quick. I would recommend the Aero Diner to anyone, both for breakfast, lunch and dinner. It is all equally delectable! The staff is always great and the prices are average for any other diner in the area. It is open 6am – 2pm on Mondays and Tuesdays, and 6am – 8pm every other day. Windham Airport is very accessible and easy to navigate. Definitely try this flight as a good reason for time building and grabbing a bite to eat at one of the best diners around!